In any view, only one volume can be selected at a time. 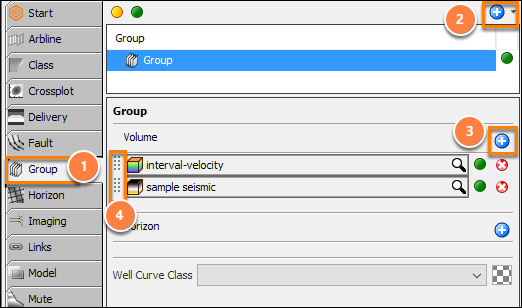 However, creating a volume group and adjusting each volume's class settings can provide a means of directly comparing overlapping volumes or volumes on the same 2D line (e.g. an array of angle stacks). The order in which volumes are listed in a group define the display precedence. 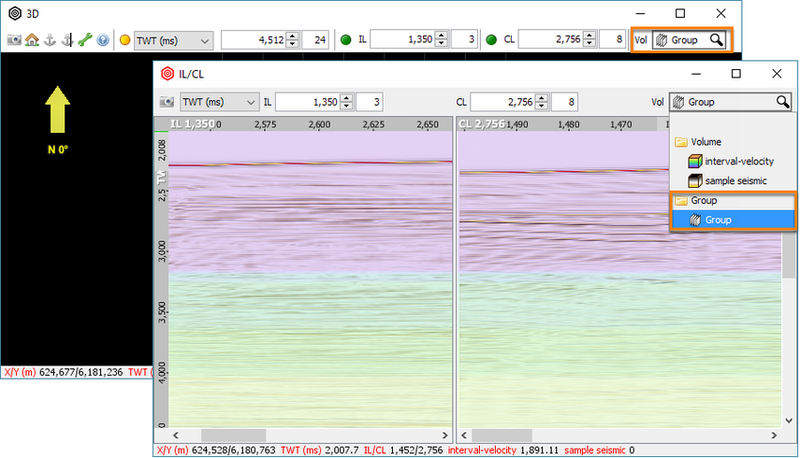 You can change the opacity of the overlying volume in order to see the underlying one, and in doing so providing a means of making visual comparisons of the data. 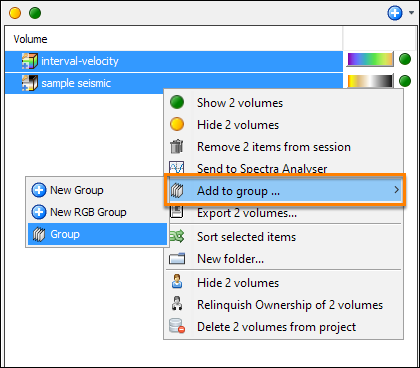 To create a new volume group, right click on multiple volumes in the Volume tab and select Add to group (see Grouping Volumes). Alternatively, a volume group can be created in the Group tab. From Insight's Control Panel, open the Group tab. Click on the Add icon at the top right, select New Group and give the group a name. At Volume, click on the Add icon to add more volumes to the group. Select the volumes you want to group. You can arrange the order of the volumes by clicking and dragging the left side of the volume row. The order in which volumes are listed in a group define the display precedence. 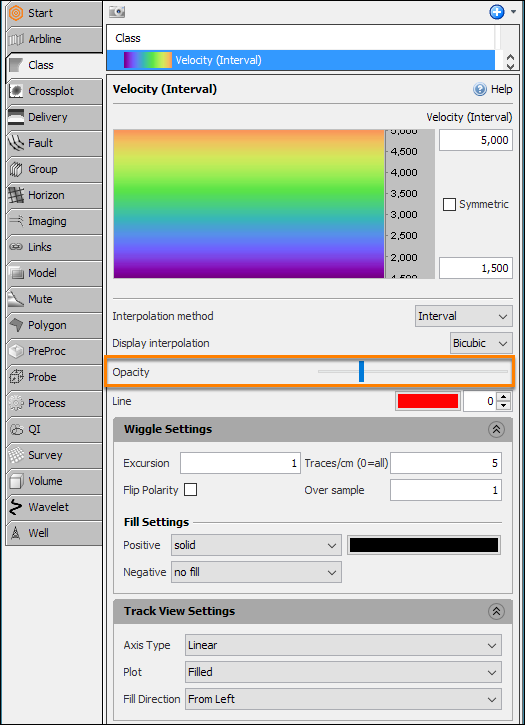 Adjust the opacity and display settings of each volume's class to obtain a clear comparison view of overlapping volumes (see Overview of Classes and Colourbars). After creating a group, select the group in the Vol selector in the navigation bar of any section or 3D Views (see Viewing a Volume Group).